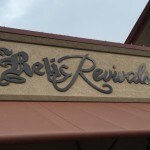 Home » commercial exterior signs » Does Your Wardrobe Need A Little Revival? Does Your Wardrobe Need A Little Revival? 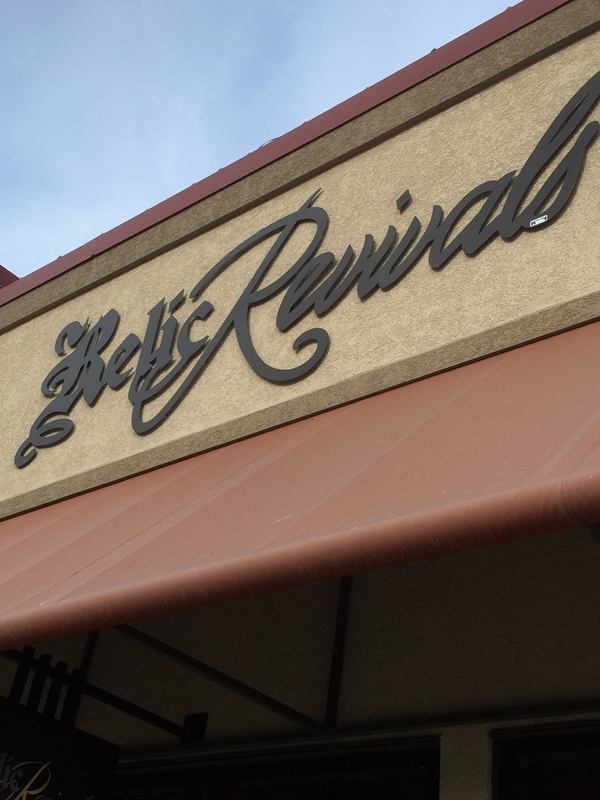 Then check out Relic Revivals – an Upscale Resale Boutique with one-of-a-kind pieces. Offering women’s clothing, accessories, shoes, bags and boots ranging from moderately priced items to high end designer pieces. 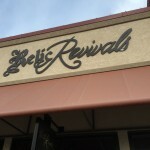 This is a destination boutique that will sell used designer items and some new things as well. 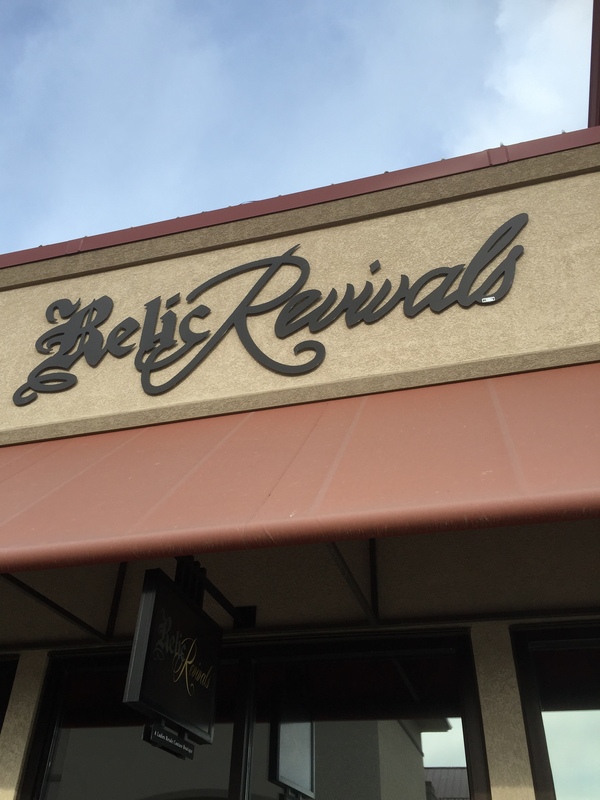 A fun little store with a big personality…. 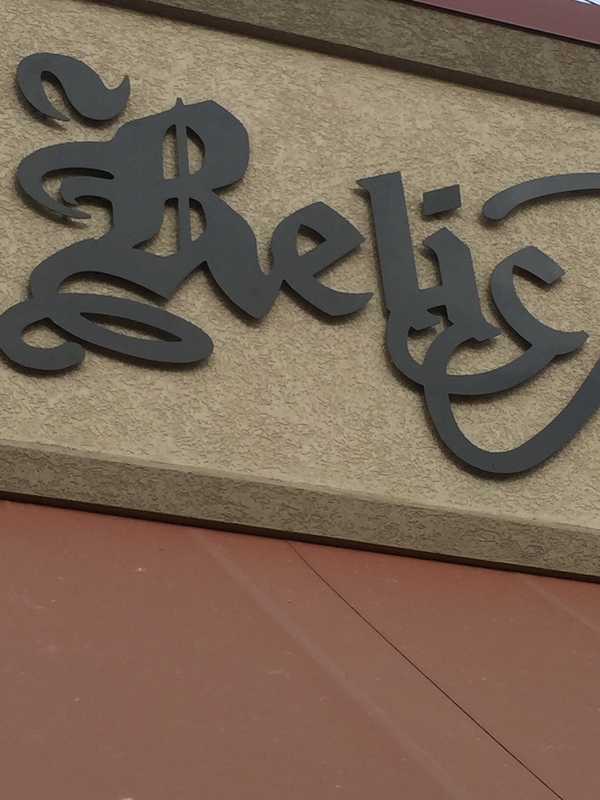 Just like the exterior building sign Creative Surfaces designed and created for them. 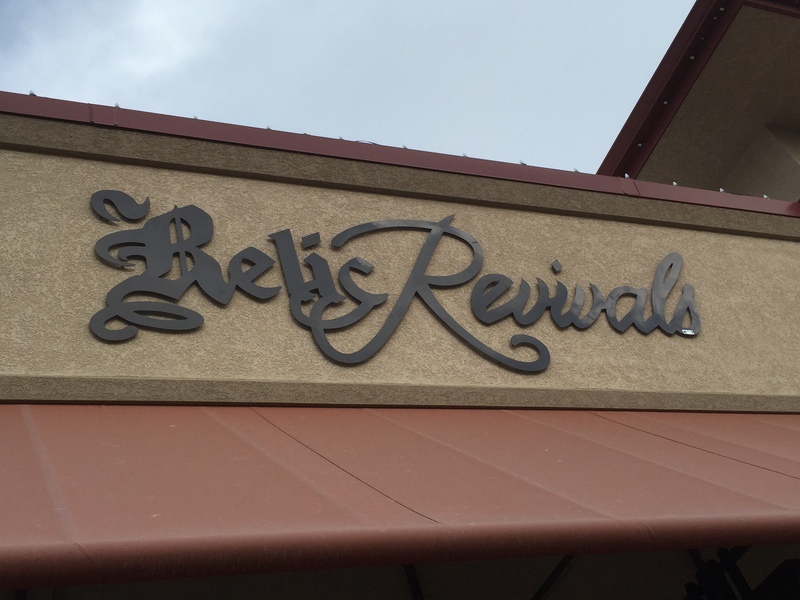 This sign placed above the main entrance is letters cut from steel and painted brown; then mounted to the wall approximately 2″ using PEM studs. 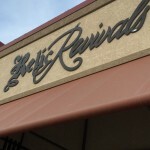 At night, the sign is lit using white LEDs to give it a halo-lit affect.